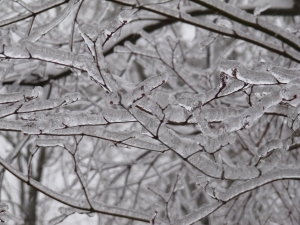 Winter presents many dangers to workers that do not exist during the warmer months. Recently, our Boston work injury attorneys discussed the hazards presented by winter storms to workers. Today, we want to urge employers and workers to consider another major risk: the risk of developing hypothermia. Any worker who works outside or in a cold/unheated environment is potentially in danger of developing hypothermia. It is the responsibility of employers to make sure that they do not put their workers into a dangerous situation where hypothermia is likely to occur. It is also the responsibility of employers to ensure that workers are warned of the dangers of hypothermia and adequately trained to observe the warning signs and avoid this dangerous condition. Hypothermia occurs when the body cannot warm itself. When the temperature becomes too cold, the tissues of the body can become damaged. In some cases, the tissues will become so damaged and the body systems will become so cold that they shut down and death results. Many people assume that hypothermia occurs only when it is freezing but OSHA cautions that this simply is not true. It is possible for hypothermia to develop even if the temperature on land is above freezing and it is possible for the condition to develop in situations where the temperature of water is below 98.6 degrees Fahrenheit. Hypothermia can also develop slowly if a person is wearing wet clothing and is chilled by low temperatures or high winds. A worker who is exposed to extreme cold or freezing water and who begins to develop hypothermia will usually first simply feel cold. The deeper layers of the skin and tissue will begin to freeze and the skin can start to feel numb and hard and turn waxy-white or pale. Usually the fingers, hands, feet, toes, nose and ears will be affected first. Any worker exposed to cold weather is potentially at risk of developing hypothermia. However, those at the greatest risk include workers on certain medications; workers in bad shape; or workers with preexisting health conditions including heart problems or diabetes. These are just a few of the key suggestions that OSHA makes to help avoid hypothermia and cold weather injuries. Employers must take responsibility for protecting their workers during these cold winter months.